I know there isn’t a lot to see in this photo, but that is what I want you to see. This is the mist from Victoria Falls. It was amazing to see firsthand and hopefully this gives you an idea. This entry was posted in Africa, Travel, Travel Photos and tagged Nature, Photography, Travel Blog, Travel Journal, Travel Photo, Victoria Falls, Waterfalls, Zambezi River, Zambia, Zimbabwe. Bookmark the permalink. It was hard at some points to see anything besides the mist. I’m so happy that you’ve like the pictures. This is one of my favorite memories when I visited Zambia. I feel extremely lucky to have been there. Oh, no TBM, there’s much to see! You can see the mysitcal clouds and Trees, wonderful one. Thanks Xandi…I’m glad it worked and you can see what isn’t seen. It is hard to forget once you’ve seen it. I just stood there for hours …mezmerised. Now I really want to go back! Lovely mist! It is very thick, and looks like fog. Yes! It is a little spooky in spots, but still oh so beautiful. Yes, the falls are called Mosi-oa-Tunya locally, which means “Smoke That Thunders.” You chose the perfect word! The mist seems so thick! It was! I was amazed by it. I’ve never been to Vancouver but I’ll try to remember that. 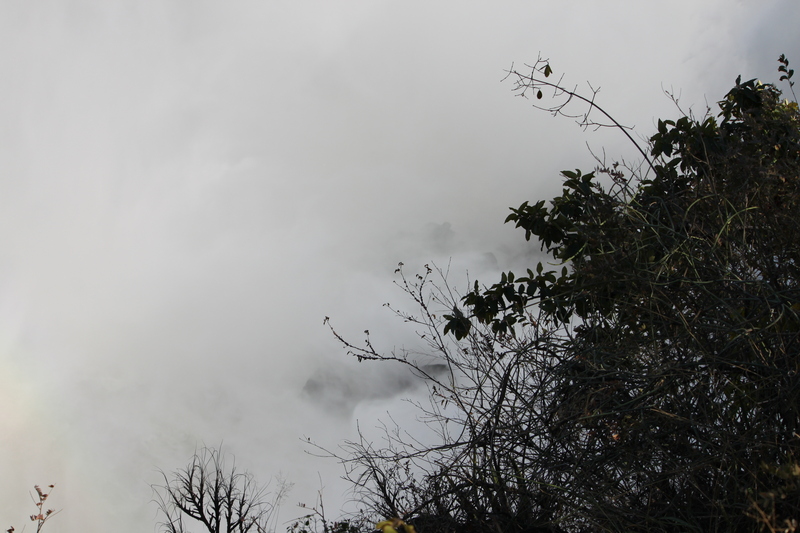 Fortunately for me, I didn’t have to hike much to see this mist.